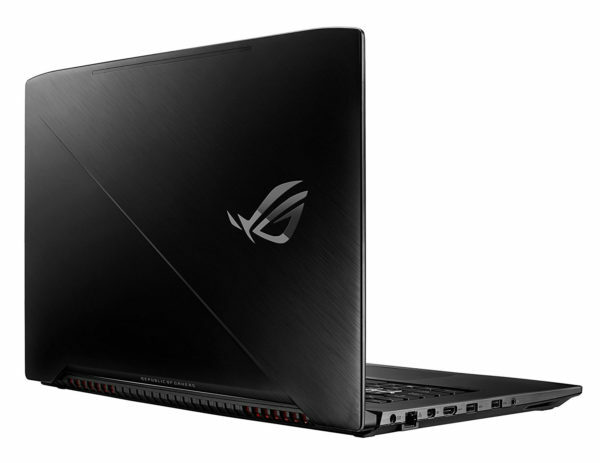 Asus releases its ROG Strix GL703VD-GC069T for less than 1100 euros , a new versatile, high-performance oriented laptop running on Windows 10. 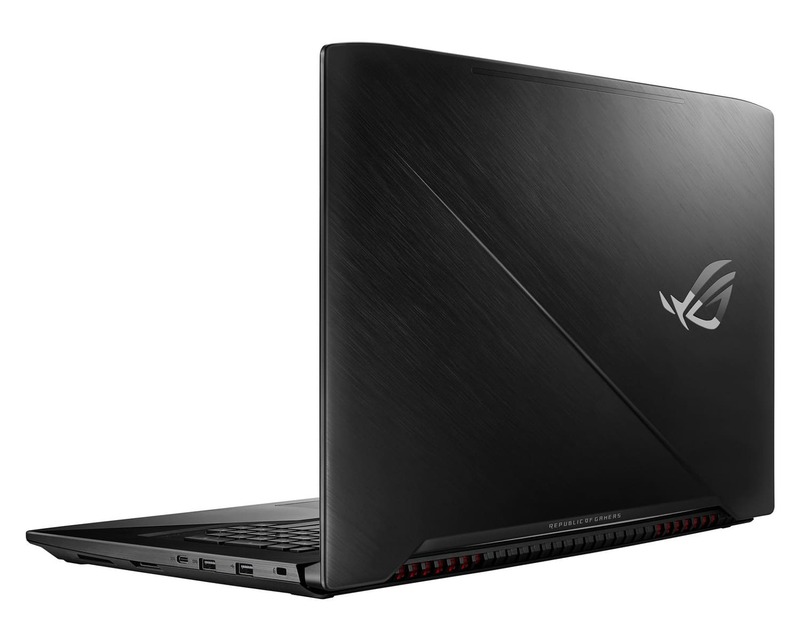 It ships a dedicated NVIDIA Pascal GTX graphics card coupled with Optimus technology, a storage solution hybrid combining dedicated SSD and swift hard drive of significant capacity, a 17-inch Full HD anti-glare screen, a Quad Core i5 Kaby Lake processor, a backlit chiclet keyboard or USB 3.1 Type-C connection. It sports a relatively stylish design for a player-targeted notebook with its brushed black metal finish and Asus RoG logo on the shell. It is cooled by 3 fans and a system of heat pipes. The keyboard has anti-ghosting technology, each keystroke is correctly interpreted, and up to 30 keys pressed simultaneously. 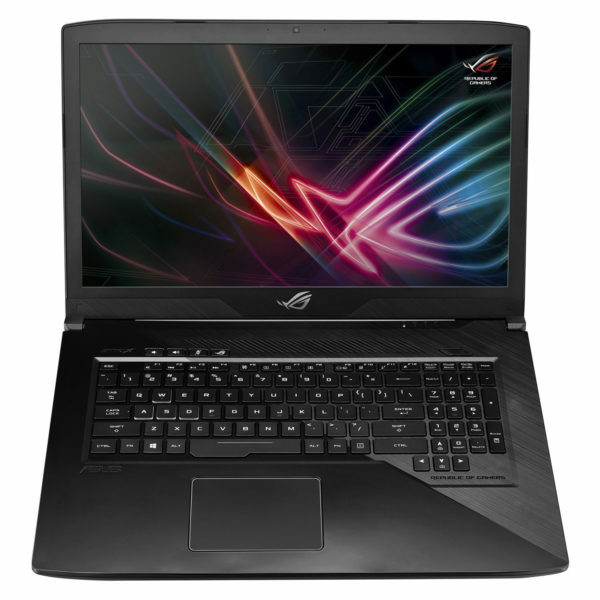 The Asus ROG Strix GL703VD-GC069T is for anyone looking for a performance-oriented, 17-inch, multi-purpose notebook. Thanks to the dedicated GeForce GTX 1050 board, many games can run on this computer as long as you agree to settings below graphics-intensive games to get good playability. In practice, the GeForce GTX 1050 is solicited by the integrated NVIDIA Optimus technology when it comes to performing graphic processing considered too heavy for the Intel HD 630. Integrated with the processor, the latter with modest performance is indeed preferred to maximum by Optimus because its reduced energy consumption promotes autonomy. As needed, Optimus switches automatically and in real time between the Intel HD 630 and the GeForce GTX 1050, both of which allow you to watch photos and videos. The 16: 9 aspect ratio of the screen lends itself well to video playback just like its Full HD definition adapted to High Definition content. Anti-reflective coating, the screen offers better visibility in bright environment than a glossy slab while being more restful for the eyes for a long time. In addition, thanks to its IPS technology, the screen reproduces the colors more faithfully than the average while ensuring very comfortable viewing angles, both horizontally and vertically. On the storage side, Asus opted here for a welcome hybrid solution consisting of a very fast 128 GB dedicated SSD coupled to a swift hard drive (speed of 7200 rpm against 5400 rpm usually) with a large capacity of 1000 GB The first is intended to house the system and the main games / software, the rest taking place on the second. The SSD helps to make this computer very responsive in games more generally everyday, especially as it supports a heart delivering strong overall performance to fill a maximum of users: 8 GB of RAM coupled with a Quad processor Core i5-7300HQ Kaby Lake. Thus, one benefits from the use of a much more fluid and fast operation than with a PC overlooking a dedicated SSD with 4 GB DDR3 / 4 and a Dual Core processor, the difference being particularly sensitive in the RAM and CPU-intensive domains that use multicore architecture such as video editing, 3D rendering or photo editing. Thanks to the key backlight system, the chiclet keyboard can be correctly distinguished in a dimly lit atmosphere. Finally, the integrated connectivity is good, composed of wireless Bluetooth 4.1 and Wi-Fi ac modules to communicate and connect remotely, Ethernet and audio ports, HDMI video outputs and mini-DisplayPort useful to easily connect this PC to a TV or a monitor for example, a USB 3.1 Type-C and 4 USB 3.0 (compatible both USB 3.0 and USB 2.0), USB 3.0 ensuring transfers made up to 10 times faster than in USB 2.0 if USB 3.0 devices are connected to it.